Oh sweet Oreo, so sorry to hear your situation. I hope Oreo finds her final home. Its a beautiful selfie. Poor Oreo, we sure hope someone can take her and give her lots of love. She sure looks like she would be easy to love. Hope she finds a forever home. Shared. That is so very sad. Such a pretty kitty too. So touching. I hope someone can give her that final home. Oh I do hope Oreo finds a home soon. We have done hospice foster care several times and it is truly one of the most wonderful and rewarding experiences. Oh meow my this is sad. We are glad she is pain free and will help get the word out that she needs a loving home. Oh, she's so lovely. We sure hope a special someone will give her a loving home. Oh, how I wish that I could take Oreo. Praying that an angel comes forward to give her a cozy and loving home for her remaining days. ((Oreo)) may your forever home come quickly. Oreo is very good looking and I hope the purrfect home is found. Oh, how sad. I sure hope Oreo gets a loving home soon where she can live out her final days being pampered. Many purrs and prayers to you, sweet Oreo. Thank you, Mudpie and Melissa, for sharing her story. WE send love and purrs to Oreo. Purrs she will have a final loving home. He's handsome and will make a great furever friend for someone. Hope he finds a home soon. Poor Oreo, that is so sad. I pray she gets a loving home to live out her days. Oreo is beautiful. I hope someone can give her a forever home to live out her final months with lots of one on one love. Mee will innclude her inn mee purrayerss! Oh Mudpie how sweet of you to share yous posty wiff Oreo. We wish she kuld live out her days here wiff us. Weez sharin' and purrayin' she gets to goo home soon. and we luvved yous Caturday art by da way. Have a blest day. Oreo is so pretty. 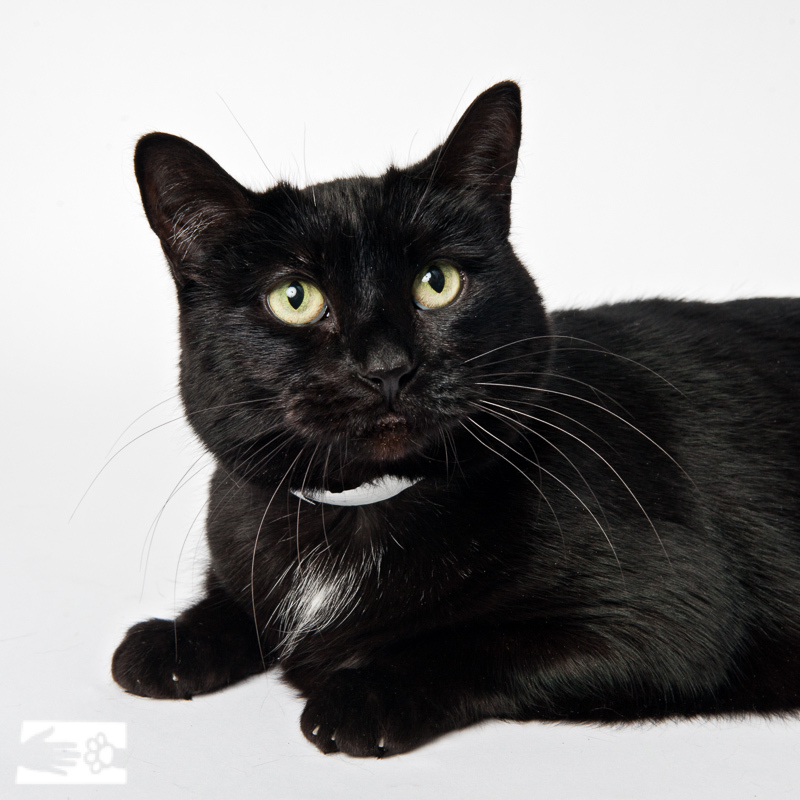 We purr that she can spend her days in a loving home. Yo, MP, you want a big sisfur? TW remembers when Autumn had cancer and her only symptom was loose stool and the occasional bommit. By the time she stopped eating, it was too late. Purrs for Oreo. We hope she finds someone to love her in her final days. Hospice Fostering (or ownership) is such an amazing, unsung job. Anyone who does this is a true hero in our book! Ah, darn it. I'm so sorry to hear about that. We had two hospice cat cases at the shelter where I volunteer--in just one week. I'm happy to report that both got their forever homes. I'm hoping the same happens for Oreo. Shared and scheduled tweets over the next four days for Oreo! !